Mario Balotelli has been contacted by the Football Association for his observations regarding the Super Mario image he posted on Instagram and has until 6pm on Friday to respond. The FA is considering whether to charge Balotelli for misconduct so will take into account the Italian’s response to the governing body’s request and the apology he issued earlier on Tuesday. The Liverpool striker said he was sorry for the post that has caused him to be accused of antisemitism and racism. On Twitter he wrote: “I apologize if I've offended anyone. The post was meant to be anti-racist with humour. I now understand that out of context [it] may have the opposite effect. Not all Mexicans have moustache, not all black people jump high and not all Jewish people love money. 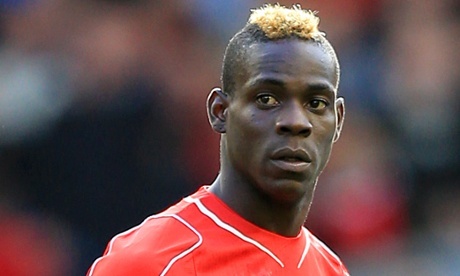 One Jewish leader has condemned Balotelli’s actions and impressed on him the need to “be more careful”. The Board of Deputies of British Jews also welcomed the FA’s investigation. Its president, Vivian Wineman, said: “Balotelli’s sharing of images which use unacceptable language and appeal to classic antisemitic tropes is troubling. Rio Ferdinand was banned for three games and fined £25,000 in October for using the term “sket” in a tweet. It was the Queens Park Rangers defender’s second Twitter-related offence in just over two years.